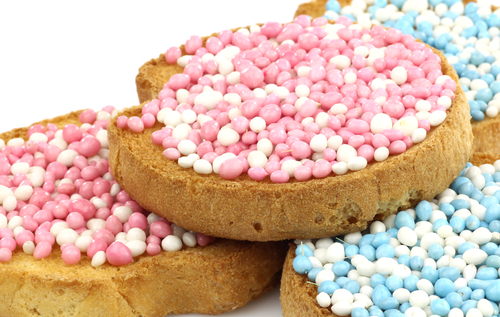 The most popular names for babies in the Netherlands last year were variants on Sarah and Luuk, according to researchers at Amsterdam University. According to the list published by the social insurance bank SVB, which pays out child benefits, Emma (793) and Liam (720) topped the 2015 list. But, according to the new research published in Monday’s Volkskrant, if you take the different ways of spelling names into account, there were 1,054 Sarah, Sara and Zaras, followed by 1,000 Sophie and Sofies. Anne and Anna are in third place and Lisa, Lize, Lise and Liza are fourth even though none of the variants of Lisa make the SVB top 10. For the boys, Luuk, Luc and Luke are top of the ranking with 860 babies, followed by Lucas and Lukas with 809. By taking different spellings into account Mohamed, Mohammed, Muhammed and Mohammad enters the list in 10th place, with 651mentions. The researchers also say that names are getting shorter. In the years after World War II, names had an average of seven letters but this has now gone down to five.